What Options Do You Have To Replace Missing Teeth? There is a common assumption that people only lose teeth as they get older. However, there are many different ways that a person can lose their teeth irrespective of age with causes such as periodontal disease (gum disease), dental caries (tooth decay), damage through trauma and inadequate or failed dental work. Once a tooth has been lost it needs replacing for two primary and important reasons; functionality and aesthetics. By optimally restoring the teeth and smile you improve dental health and self-confidence. When spaces are present due to missing teeth, movement will occur. If left untreated, other teeth will drift and tip into unoccupied areas. Teeth also migrate into spaces when opposing teeth are missing. To keep all your permanent teeth functioning and in their correct position, you need to replace missing teeth to maintain long term oral health. There are a number of solutions to missing teeth and we always offer the optimum long-term treatment for the individual patient according his or her needs, dental condition and budget. long lasting permanent way to replace missing teeth. A titanium screw is placed in bone and allowed to heal, over generally 2-3 months. 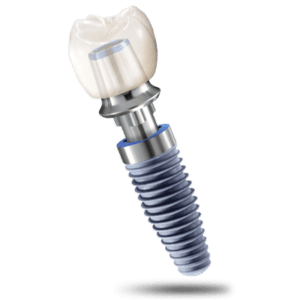 A tooth is then screwed on to the titanium “root” when the bone has healed firmly around the implant. 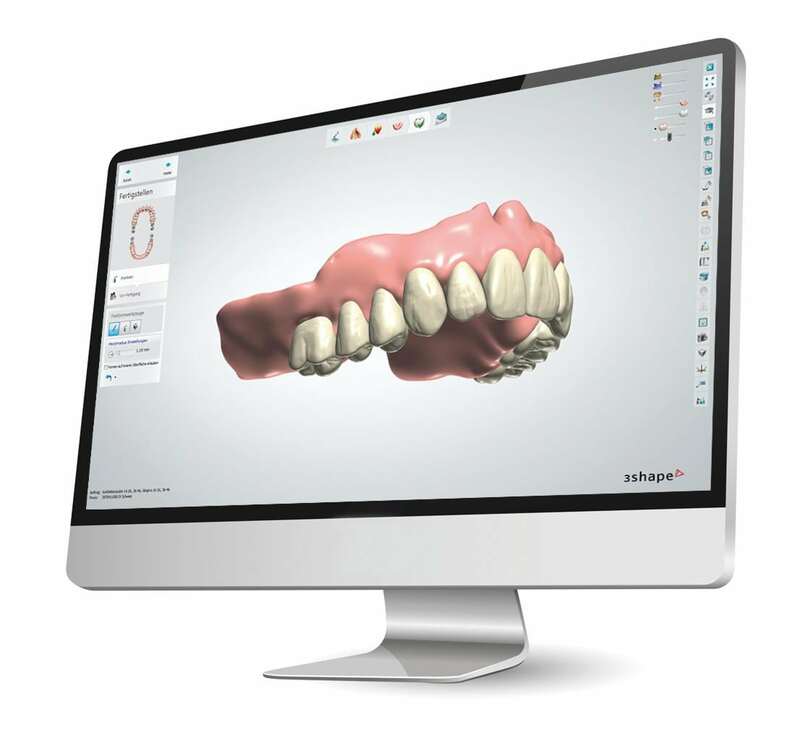 This option is the closest thing to getting a new tooth back and feels as solid and functions like a real tooth. The added advantage of using an implant to replace a missing tooth is that it maintains the height of the bone and prevents shrinkage or resorption of the bone. Most significant requirements for this treatment option are infection free mouth free of gum disease and decay, and adequate bone thickness or height. These natural looking dentures can be used to replace missing teeth as well. They are removable and come in either acrylic or metallic forms. They can replace the thickness of lost gum and build out lip support if gums or soft tissues were lost. Dentures have been available for many years and offer an inexpensive, quick and easy solution to replacing lost teeth. In contrast to dental implants, a dental bridge is a restoration that is fixed in place by attaching to the natural adjacent teeth. The replacement tooth is called pontic and the natural supporting teeth are called ‘abutments.’ The abutment teeth provide support on either side of the space, in the same way a bridge spanning a river is supported on either side. In order for the abutment teeth to support the bridgework the enamel and a significant proportion of the crown of the tooth is removed. 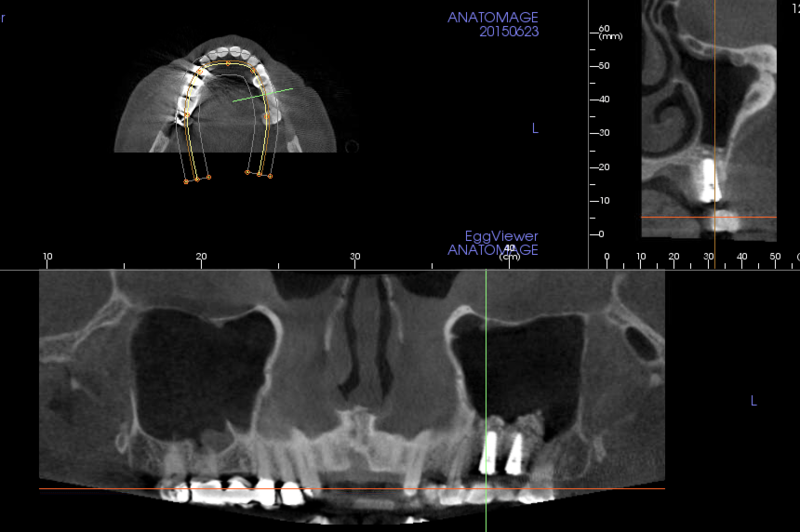 Crowns are placed over the abutment teeth and the pontic is attached to form a joined 3 unit bridge. Why Replace Missing Teeth ? Missing teeth should be treated as quickly as possible. Once a tooth is lost, the bone begins to deteriorate. It will continue to deteriorate if no treatment is sought, making replacement options more and more difficult while potentially affecting other teeth. Dental Implants or Bridge ? Dental implants are the most lifelike replacements for missing teeth. They are a permanent solution for tooth loss, with a success rate over 95%. Dental implants are virtually indistinguishable from your natural teeth. dental implants offer the best long-term solution. 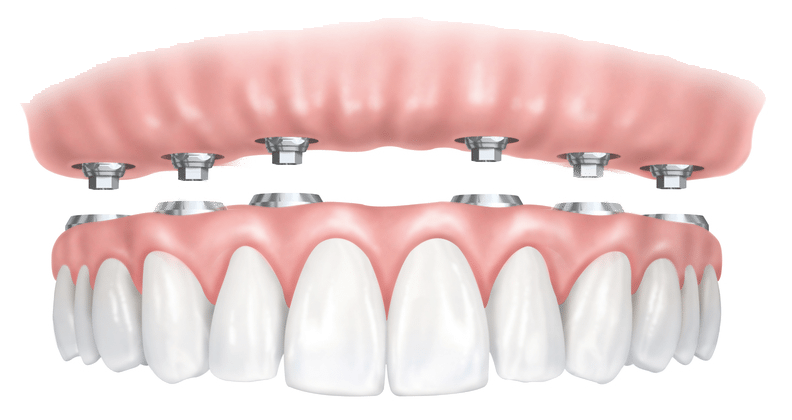 What Are the Success Rate of Dental Implants ? This specialised procedure allows patients to have multiple failing teeth replaced with a secure restoration in a single visit.Recent technological advances have led to the exciting development of a procedure called ‘Teeth in a Day’(also referred to as ‘All-on-4’). This technique gives patients a complete set of replacement fixed teeth in either the upper or lower jaw using only four implants with minimal surgery. This is enormously beneficial for people who have lost the majority or all of their teeth in either the upper, lower or even both jaws. We can replace a conventional removable denture, remove failing teeth if required, place implants and fix a full restoration all in one day. 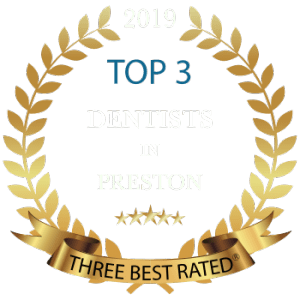 The Cosmetic Dental team at Lane Ends Dental Practice has been carefully selected to include an amazing group of people that are passionate about dentistry and providing an amazing experience for our patients. At Lane Ends Dental Practice, knowledge, talent and expertise are the credentials which might well be the difference between success and failure of replacing missing teeth. Sometimes it's easy to think of missing teeth as just a cosmetic issue. This is why many people who are missing them toward the back of the mouth don't get them replaced for years on end. However, even a single missing tooth can eventually lead to an array of problems that could damage not only your teeth, but your entire mouth as well. Replacing missing teeth isn't just good for your looks, but for your health, too. When you lose teeth it can cause your face to become sunken, ageing you prematurely. Dental implants allow you to maintain the natural shape of your face and smile, helping to keep your teeth where they belong, in your mouth. Part of your gum tissue is exposed whenever your teeth go missing. This actually makes it much more susceptible to gum disease, which is actually the leading cause of tooth loss . This is how just a single lost tooth can easily lead to another, and, causing a domino effect that can devastate your oral health. Dental implants help protect this sensitive gum tissue, and help maintain the natural balance in your mouth so it can stay healthy. When it is not being used to support a natural tooth, the jawbone deteriorates, losing its strength and firmness. Dental implants are the only dental restoration option that helps to stimulate bone growth and prevent bone loss. Restoring your smile with dental implants involves many variables beyond the actual titanium implant that will affect the total cost of treatment. For example, dentures will cost more than a single dental crown. Meanwhile, restorations are available in a variety of materials that vary in cost according to durability and appearance. Acrylic dentures, for instance, are the most affordable option, but do not look as natural or last as long as a Ceramic Bridge made of zirconia, the most durable material used in prosthodontics. 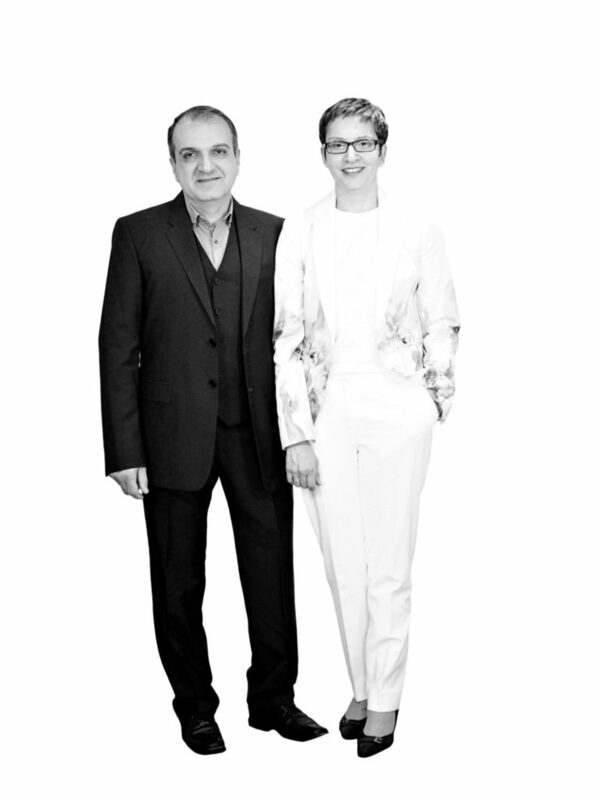 During a consultation, Dr. Kaviani will explain your options and help you decide upon a treatment plan.